Last weekend was spent in Irvine doing DIY for the MIL. Not that I begrudge it at all. She is Mary's mum after all *and* she has been very generous to us in not spending the children's inheritance but passing it on. Also it takes some of the load off the SIL who does an awful lot for May, being so much nearer. 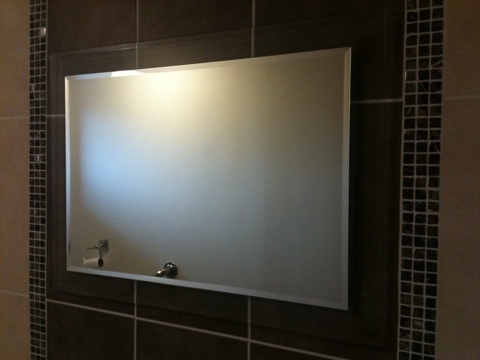 Saturday's task was drilling holes in tiles for the bathroom mirror - always a nerve-wracking task. Went smoothly I'm glad to say as did the towel ring and loo roll holder. 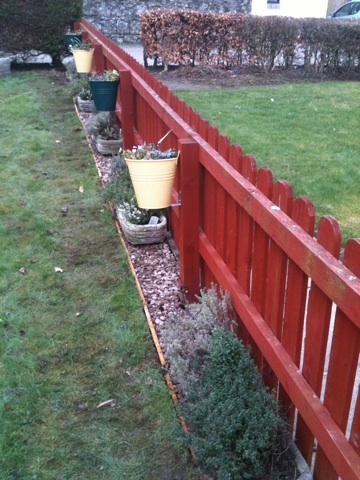 Sunday's task was creating a French drain along the edge of the lawn. The troughs were killing off the grass and made it difficult to lawnmower up to the edge. Some black plastic, six bags of gravel and a couple of hours hopping about like a frog fixed that. All in all a good deed kind of a weekend well spent.